As we anticipate the birth of Jesus, we gather for several special events in December. Please find a brief description of a few of these events below. For more information, follow us on Facebook or Instagram. Even better – join us in person at 3601 West End Avenue, Nashville. During this special liturgy, we will prepare the sanctuary for the Advent season. 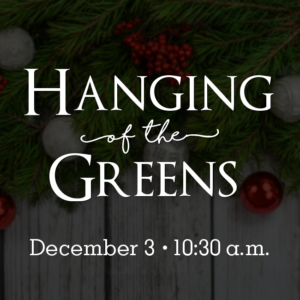 Learn more about the banners & paraments, the greenery, the Chrismons, the nativity, and the candles as we share the significance of these symbols as a church family. 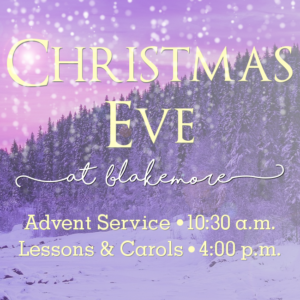 We’ll celebrate the gifts and talents of our Blakemore family in this Christmas-themed special Wednesday event. 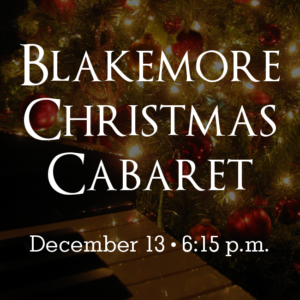 This performance is free and open to the public: please join us in the Sanctuary at 6:15 p.m. Any donations received during this event will go to support the Blakemore Music Ministry. Christmas can be a painful and difficult time for some. While the culture around us echoes a constant refrain during December of shopping, happiness, cheer, and togetherness, there are many who experience this time of year in a different way. It may be the loss of a loved one, illness, isolation, broken relationships, shattered dreams, or any number of other difficulties. As the nights grow longer, it is easy for our spirits to shrink and for us to lose sight of hope. We need space to acknowledge that we are not okay and to be reminded that we are not alone. 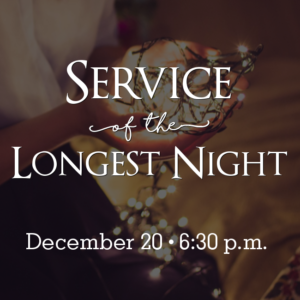 Join us on Wednesday, December 20, at 6:30 pm in the Sanctuary to share in a Service of the Longest Night as we seek to share our pain and allow light to shine in the darkness. This year we will celebrate Christmas with a special Lessons & Carols service at 4:00 p.m. Christmas Eve. During our regular worship time (10:30 a.m.) we will finish our discussion about the Names of the Messiah as we prepare for the birth of Jesus.